TUESDAY, Sept. 26, 2017 (HealthDay News) -- A U.S. adult who is "healthy" but obese could eventually cost society tens of thousands of dollars in medical care and lost wages, a new study estimates. Using a computer model, researchers estimated the financial toll that obesity typically takes at different ages. They found, for example, that an obese 50-year-old with normal blood pressure and cholesterol levels will end up costing society more than $36,000. That societal figure included people's direct medical care for obesity-related diseases, along with lost productivity from disability or time off from work. The researchers said the findings offer a look at how obesity affects individuals, and society. "When folks struggle with their weight, it ends up affecting everyone," said senior researcher Dr. Bruce Lee. He's an associate professor at the Johns Hopkins Bloomberg School of Public Health in Baltimore. Because obesity contributes to a range of chronic health conditions -- such as type 2 diabetes, heart disease and certain cancers -- it ultimately raises everyone's health insurance premiums, Lee said. Of course, he added, the costs hit the individual, too. "You're paying the insurance premium and the copays," Lee said. "And if your productivity is reduced, that affects your wallet, too." On the other hand, Lee's team found, weight loss could bring big cost savings. The researchers estimated that if an obese 20-year-old shed enough pounds to drop to the overweight category, almost two-thirds of his lifetime costs to society could be avoided. Plus, Lee said, there are benefits to losing weight well beyond age 20. 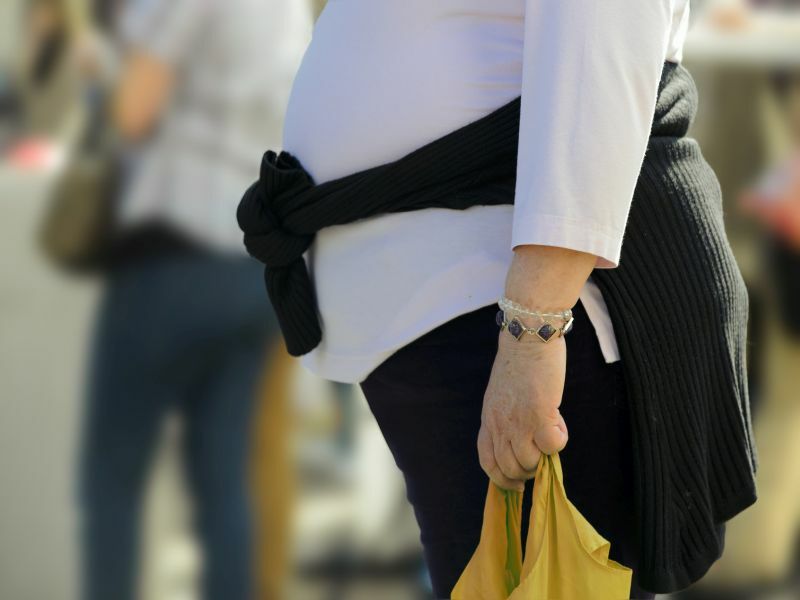 If a healthy but obese 70-year-old crossed to the overweight category, her lifetime costs could be cut by about 40 percent, the study found. "So weight loss is cost-saving at any age," Lee said. In the United States, it's estimated that two-thirds of adults are obese or overweight. Ted Kyle is a spokesperson for the Obesity Society and founder of ConscienHealth, which advocates for "evidence-based approaches" to addressing obesity. "This study really documents the costs of untreated obesity -- which is the norm in this country," said Kyle, who was not involved in the research. He said that Americans who are struggling with their weight usually just get "casual advice" from their doctors to eat better and exercise. "I think it's safe to say that most people do not get the kind of help that research has shown to be effective," Kyle said. As an example, he pointed to the Diabetes Prevention Program, which involves "intensive" counseling on diet, exercise and behavior modification. A large U.S. government study found that the program slashed the risk of type 2 diabetes among overweight, at-risk adults -- after only a modest amount of weight loss. The program is now widely available, Kyle said, including at local YMCAs. Still, many people do not know about it. "It's a good place to start," he said. The "casual advice" route is unlikely to cut it, according to Kyle. "Because guess what?" he said. "It has already occurred to most people that they need to change their diet and exercise." What many obese people need, Kyle said, is more intensive help with changing "deeply entrenched bad habits." Lee agreed that losing weight is a major challenge. "And the biggest challenge is, of course, that you want permanent weight loss, not yo-yo dieting," he said. "There are no overnight solutions," Lee said. "It takes long-term changes in diet and physical activity. And for some people, medication or surgery are appropriate." For the study, Lee and colleagues used a computer model to estimate the lifetime medical costs and lost productivity of obese individuals at different ages. They pulled data from several large U.S. health studies to gauge people's odds of developing various diseases over a lifetime. "This is an important study," Kyle said. "It shows just how costly obesity can be if it's untreated. It's not about weight and appearance. It's about your health." The findings appear in the October issue of the journal Obesity.